HomeSight Inspections... Moisture Inspections Done Right. At HomeSight Inspections we strive to perform accurate inspections which in turn educate and inform our clients about the subject property’s true condition. We work to provide critical information our clients need to make informed decisions. With expert, experienced inspectors and state of the art tools, we are able to do just that. The results of this inspection are based on the day of the inspection at the sites tested. Please note that moisture levels can change from one day to another for a variety of reasons. Weather and seasonal conditions are the greatest factor affecting moisture reading results. Excessively wet, dry, hot or cold weather conditions may cause the measured moisture levels to be compromised. For this reason, the sheathing resistance aspect of the inspection may prove to be most beneficial when determining if further intrusive evaluation is needed. That said, resistance testing is also very limited as it can be difficult to determine the extent of damage behind the siding by just pin probe holes alone. Therefore, we are able to perform core sampling at areas of concern as the next step to help verify sheathing condition. 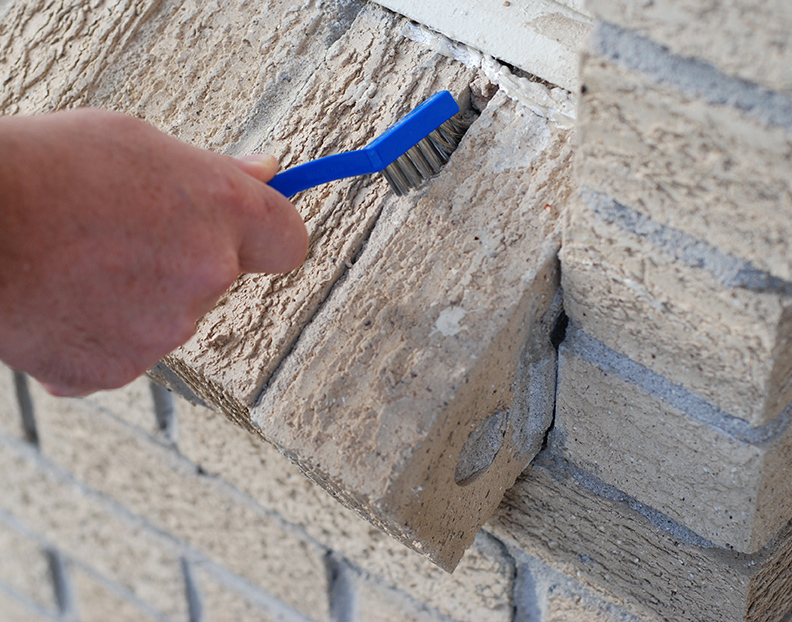 If a core sample indicates that damage is present, then removal of the siding is recommended. At this point a repair contractor can be brought in to perform the removal and create a repair plan once the source and extent of the damage is fully understood. A post repair follow-up inspection should be conducted within three months after completion of the repairs to assess the effectiveness of the modifications. We also recommend periodic maintenance inspections and re-tests to help ensure the exterior cladding is performing properly. An ounce of prevention goes a long way. While each property is unique, performing annual maintenance of the exterior cladding along with addressing other common property maintenance issues, such as surface water control with gutters, grading, etc. to prevent negative slope or pooling near the house, controlling indoor humidity, and so on, will decrease the likelihood of moisture related issues.